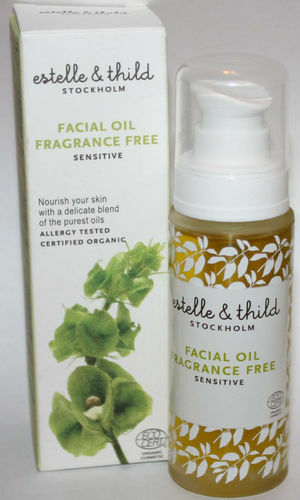 Estelle & Thild's Fragrance Free series is formulated for sensitive skin types from the highest quality natural and organic ingredients. The series is 100% free from perfumes and scents that can irritate or cause allergies. The nourishing, vitamin-rich ingredients reduce redness and soothe the skin, helping maintain a natural balance. How To Use: After cleansing face use under night cream for an extra rich treatment.